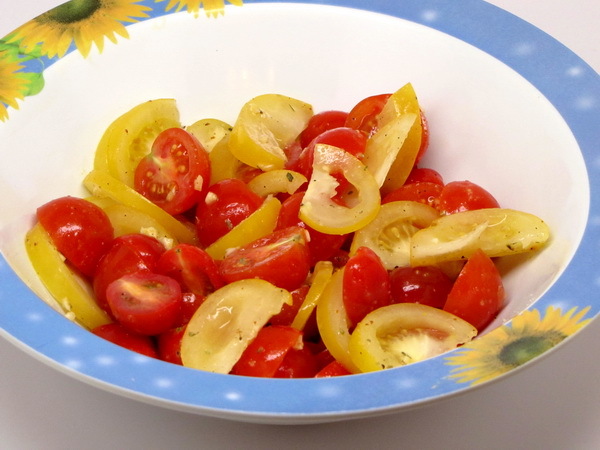 This dressing was a super change from the ordinary vinegar dressing – the Dijon gave just enough tang to make the dish interesting without overpowering the flavor of the tomatoes. I am looking forward to farmer’s market tomatoes ! Combine all dressing ingredients and toss with tomatoes. Cover and refrigerate at least an hour so flavors mix.